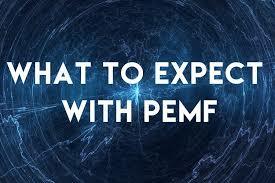 PEMF may be something you have never heard of before. It is a device that uses natural pulsed magnetic fields for healing and it is known as the crown jewel in energy medicine. Energy medicine is using energy rather than chemistry and surgery to help heal and assist the body to help itself. Remember the old Star Trek Uss Enterprise? They had a device they used called the tri-quarter that they used to scan the body and then administer frequencies and energies that would heal various people on the ship. Well, what was science fiction is now real. The ability to heal the body with energy is becoming a scientific fact! After researching and owning most of these devices, Brian Tracey said that the one that he personally uses every day and is the most important healing device you can own is the PEMF Therapy. Tracey states that as soon as he tried the MRS 2000 and the IMRS 2000 device he felt an overwhelming sense of being lighter and more energetic. He noticed he slept better the first night and had significantly more energy the next day. The feeling is subtle but none the less very noticeable. There are various size mats available, this is the full body mat. PEMF devices literally a "whole body battery recharger," using the PEMF Therapy 2 times a day for 8 minutes, you recharge your 100 trillion cells, improve ATP production, increase oxygenation, enhance circulation, increase hydration, facilitate detoxification, and gain better absorption of nutrients. Most significantly people had improved sleep and pain relief. The testimonials of literally hundreds of people benefitting in profound ways are undeniable. PEMF has been researched in more than 10,000 scientific papers. Many studies have been done in Russia and Eastern Europe, but more research is now taking place in the U.S., and PEMF is now approved by the FDA. PEMF is a safe effective treatment for a variety of medical conditions and promotes cellular health. PEMF had been used extensively for decades for medical conditions. PEMF is widely used to treat depression, broken bones, pain relief, and swelling of tissues. What PEMF does is assist your body in healing itself. The human body needs elements from the earth. Organic food, clean and energized water, natural and full spectrum sunlight, oxygen from fresh air and pulsed magnetic fields. Food - There are a lot of diets out there but there are no diets that recommend, fast food, bread, diet drinks, sugar, trans fats, salt, processed foods, canned foods, etc. Whole organic foods and sticking with nature are the best diet for you. Vegetables, whole grains, nuts, grass-fed meats, and unprocessed dairy. Stick to nature, it works. Air - We need plenty of good clean air. Once study shows indoor air to have 30 times more pollutants than LA. So get outside in the fresh air, go to the ocean for a walk or get out into the country. Sunlight - With all the hype of skin cancers today most of us are vitamin D deficient and are not getting enough sunlight each day. On average 30 minutes of unprotected sunlight is healthy. Getting sun early in the morning or late in the day are good options for getting the sunlight you need without too many harmful rays. Fast foods, synthetic vitamins, drugs, tap water, soft drinks, forced air heat, air conditioning, and fluorescent lighting are not natural and are not good for your health. So now we have looked at the four elements of health, food, water air, sunlight. 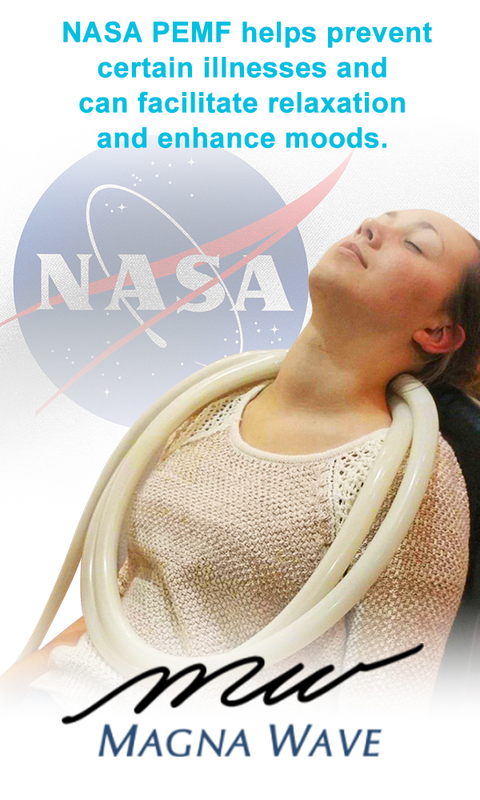 Most people do not know that there is a fifth element, Electromagnetic Therapy. Our space research has proven that even though our astronauts were given all of the four elements there was still something missing when they returned to earth. What was found that in just a matter of hours of no exposure to electromagnetic energy that cell metabolism begins to break down causing bone loss, muscle weakness, depressed metabolism, and depression. A conclusion was reached that PEMF was needed as a necessary element of health. PEMF's are like a spark plug for the human cell. Studies have shown that the voltage of a human cell is about 70-110 millivolts and when we get sick that voltage drops below 50 millivolts and people who have cancer are less than 30 millivolts. We can actually raise our voltage with PEMF. What is the Best PEMF for the Body? There are four aspects of the pulsed magnetic fields you need to understand PEMF; frequency, intensity, waveform, and timing or rhythms and brain state frequencies throughout the day. We evolved on earth so looking at what the earth provides us and tells us what we need. Have you ever wondered how a compass works? The answer, of course, has something to do with magnetism. Every magnet is influenced by another magnet around them. This is what science calls invisible influence fields. Obviously, there are many different strengths of magnets, some so powerful they can lift a car. Solar winds are what produce relentless storm energy emitted from the Sun that race through space and rapidly fluctuate speeds from 200-700 km per second. This creates magnetic fields throughout space. These fields extend indefinitely out into space but become weaker as distance increases from the source. The Earth's magnetic field is much different than regular magnets. This explains why pulsed magnetic therapy mats are more effective than say a static magnet mattress pad. The Earth's magnetic field is produced by electrical currents, which by Ampere's law produces a magnetic field. Click on the article button below and it will explain the difference between static magnets and the Earth's magnetic field. So How Much Magnetic Intensity is Best for us? It has been found that using intensities within nature's limits (30-60uT) is best. In fact, all the top companies making pulsed magnetic therapy mats discovered that weak magnetic fields on the same order of the earth's intensities, work better than stronger fields. If we are to duplicate nature than the use of static magnets would not be the choice. The magnetic field of the Earth is dynamic, not static as many people think. So if we want to duplicate nature than we would use dynamic magnetic field and not static. This means PEMF is the means to which we can duplicate nature. Frequency is the key to PEMF therapy, not intensity. The Earth's frequencies are primarily in the 0-30 Hz ranged and they exactly match the frequencies of our body, mind, tissues, and cells. Basically, if there is a smaller amount of waves closer together in a given area that would be a high frequency. Relatively if there were larger loopy waves in a small area further apart that would be a lower frequency. The earth emits frequencies which are all important for life to exist. These are the earth's natural PEMFs that we need as an essential element of life and health. In Dr. Zimmerman's research, he found that energy healers actually emit these frequencies. Just as a tuning fork will resonate frequencies for sound, so the planet earth and the ionosphere surrounding it have the resonance frequencies for electromagnetic radiation called the Schumann Resonances. Schumann Waves are 7.83 which is the prime channel or broadcasting frequency for all of life on earth. It appears all of the animals, living organisms are all tuned into this frequency. By using PEMF machines we can all march to the same beat as our planets heartbeat, which is best for health and well-being.